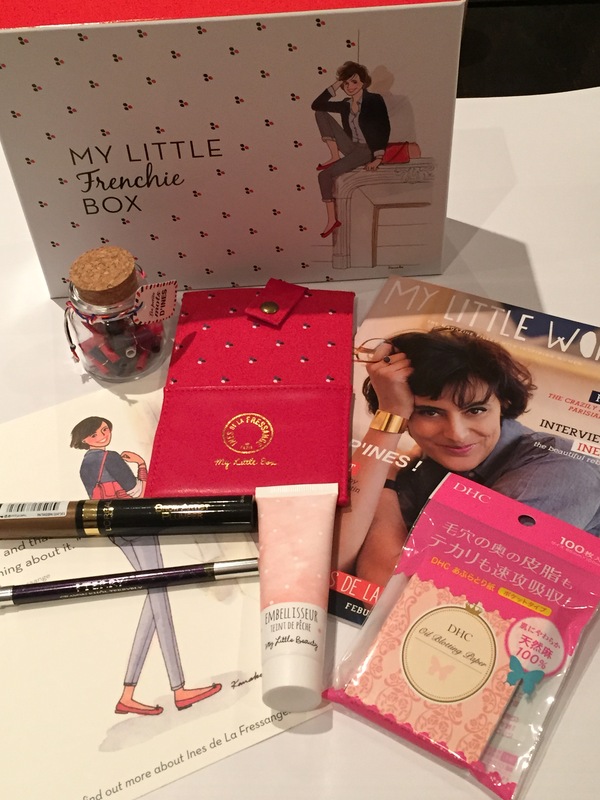 Themed My Little Frenchie Box, the February box celebrates the strong and independent business woman Ines de la Fressange. She is a French icon who not only was a Chanel muse in the 80s, but was also an inspiration to Karl Lagerfeld. In 1991 she created her own fashion label which consists of classic pieces found in the wardrobe of all Parisian women. Today she is head of fashion house Roger Vivier where Parisian chic is key. The box contains this month’s magazine which is packed with interviews, photos a plenty, a guide to Paris such as the best places to shop, eat and relax and of course helpful beauty tips and make-up application. 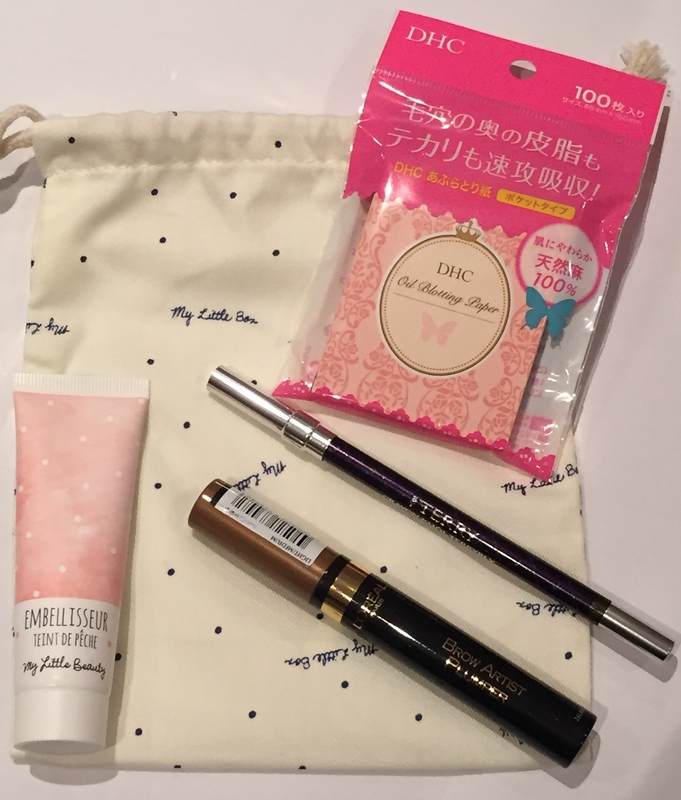 The magazine has a lot of content unlike other beauty boxes. This month’s special gifts are a smartphone mobile case designed by Ines and a jar of small notes. 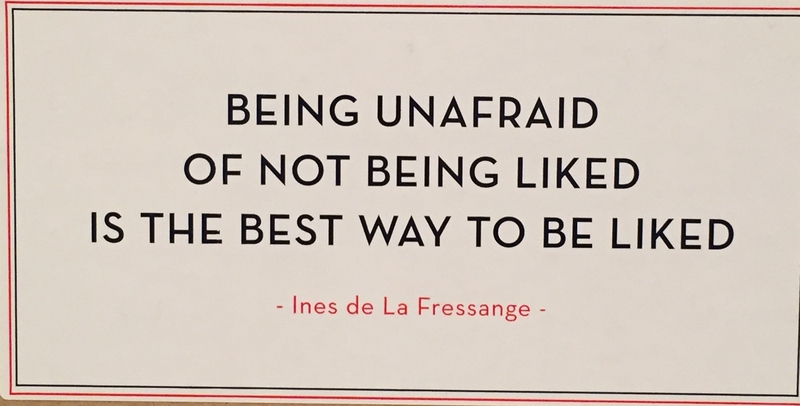 Each containing a different motivational or feel good quotes or handy beauty tips, Ines shares her inspirations and elegance in the buzzward. 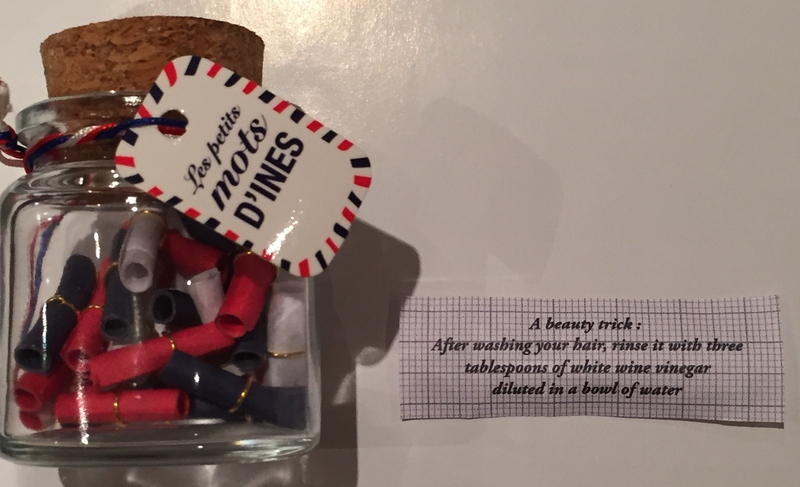 A little morning surprise and a very cute jar to keep. Proven to add body, volume and intensify your brows without colour staining the skin. It’s not sticky, shiny or heavy. This super soft and ultra precise pencil will give you a look that will last all day. I received the black although don’t be fooled by the purple packaging. There is also an offer for those of us based in London to have a make-over done within their Harrods concession. Blotting papers are a skin saviour in times when you have an oily T-zone or appear to be ‘glowing’ a little too much. The 100% natural hemp fibres in the oil-absorbing papers are more effective than synthetic alternatives and will help mattify your complexion keeping a shiny face under control. Part of the My Little Box cosmetics company, this product contains apricot kernel oil will bring your skin back to life. It’s rich anti-oxidant rich edelweiss extracts will protect your skin leaving it feeling silky soft and smooth. It’s lightweight and smells so good. 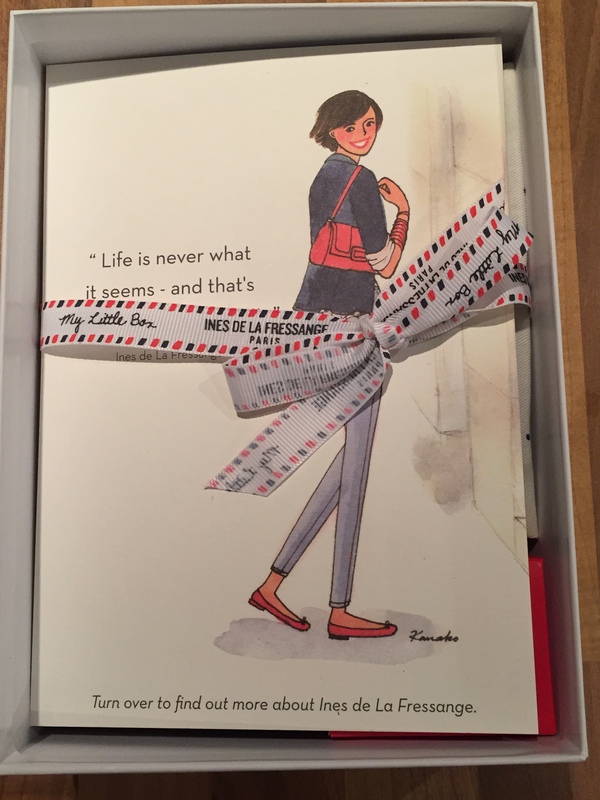 My Little Box is a monthly subscription which can be cancelled at any point. It costs £11 p/m plus £3.95 postage. The boxes are sent straight from Paris and are guaranteed to arrive before the 20th of each month. This month’s was very early arriving on the 12th! !